Last Sunday's gluten-free event at The Bards in Philadelphia was an unqualified success, so much so that gluten-free pizza is now available every day. This makes it just the second restaurant in Center City (Giorgio on Pine being the other) that serves gluten-free pizza. 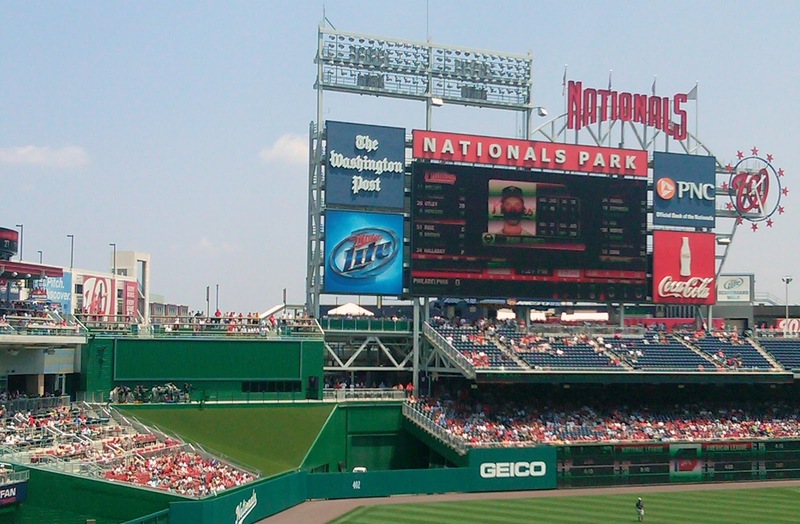 The owners will also offer an expanded gluten-free menu every Sunday. I gave readers something to chew on in my Tuesday post - Philadelphia's own Peanut Chews. That and other candies made by Just Born are gluten free. 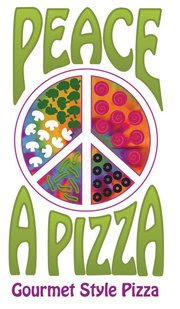 All area Peace A Pizza locations - in Pennsylvania, that's Ardmore, Exton, King of Prussia, Montgomeryville, Rosemont, Springfield, Wayne, West Chester; Stone Harbor, New Jersey; and Newark, Delaware - have 12-inch gluten-free pizza crusts. The shops use different pans and utensils and take steps to avoid cross-contamination. 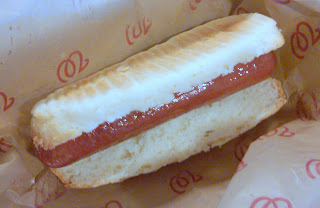 Thanks to Dana M. and Nancy D. for letting me know about the Springfield and Montgomeryville spots. 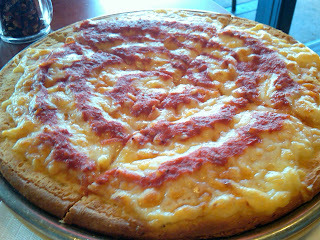 Franco's Pizza in Collegeville (3815 Ridge Pike, 610-409-0780) offers gluten-free pizza and pasta. Ralic's Steakhouse, a newcomer to Haddonfield (26 S. Haddon Ave., 856-616-1520), serves gluten-free-friendly appetizers, entrees and even dessert - a flourless chocolate cake with hazelnut crunch. Reader Robin V. recommends The Mediterranean in West Chester (150 W. Gay St., 610-431-7074) for a gluten-free meal. The kitchen can prepare gluten-free desserts with several days' notice. McCourt's, a farm-to-table concept in Hatboro that offered gluten-free dishes, recently closed. Grocery Market in Center City (101 S. 13th St., 215-922-5252) offers gluten-free soups daily, along with other foods. 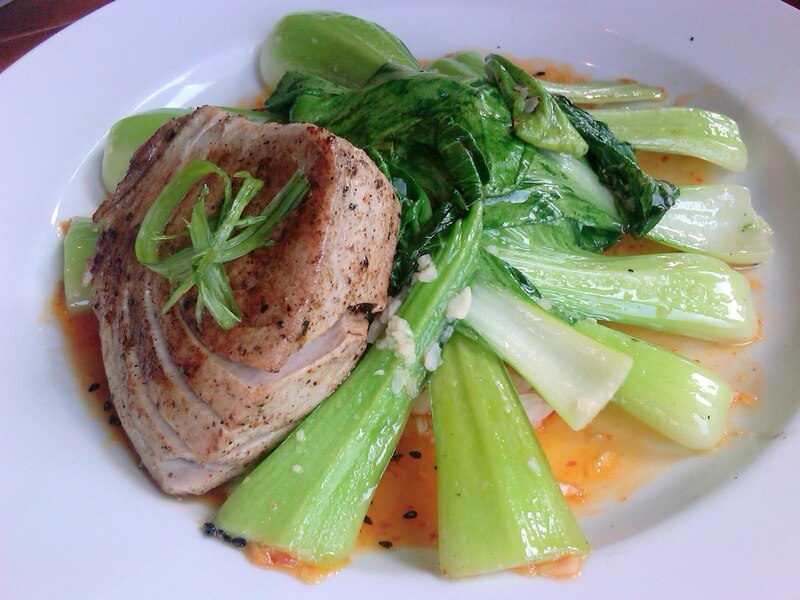 Souderton's Melodia Grill (664 E. Broad St., 215-721-4000) is offering a three-course meal for two for $45. The offer, through deal site Living Social, is available for purchase through Sunday and can be redeemed through December 1, 2011. The restaurant has a gluten-free menu. 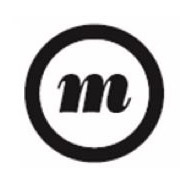 Congratulations go out to Main Line Baking Co., named as the "Best of Philly" in the August issue of Philadelphia magazine for its gluten-free baked goods. 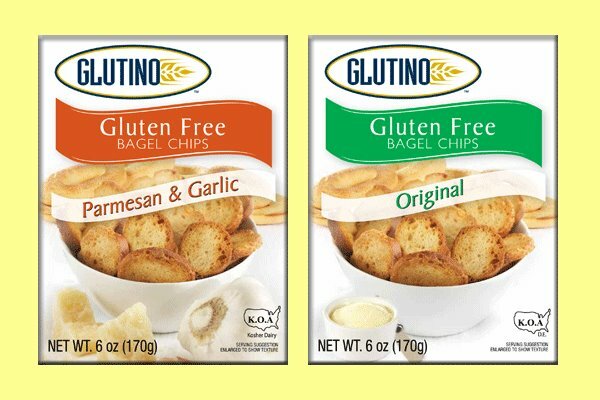 Coming soon to stores are bagel chips from Glutino, in Original and Parmesan & Garlic flavors. 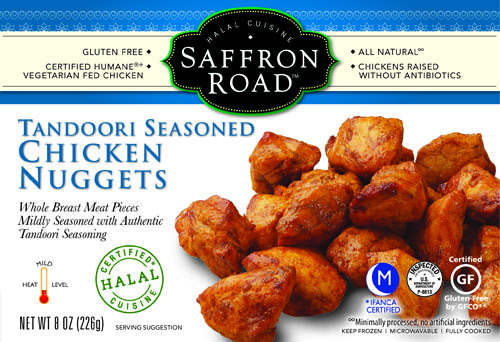 Although not quite the level as the weighty chicken-or-egg question, I do wonder whether nuggets or tenders came first. In any event, Applegate Farms has just introduced certified-gluten-free chicken tenders, sold alongside the company's nuggets. The Chester County chapter of the Gluten Intolerance Group is holding its next meeting on Wednesday, August 31 at 6:30 p.m. Speaking will be Dr. Donna Skerry, a nutritional consultant. The meeting will be held at the Fern Hill Wellness Resource Center in West Chester. 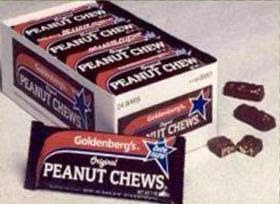 If you grew up in 20th-century Philadelphia, you know that Goldenberg's Peanut Chews were a candy-aisle staple. Peanut Chews were developed during World War I and used by the U.S. military as a ration bar. The high-energy, high-protein recipe, consisting of roasted peanuts and molasses covered in dark chocolate, made it popular with the troops. In 2003, the Goldenberg family sold the line to Just Born, a third-generation family-owned candy manufacturer in the Lehigh Valley. Despite that change, Peanut Chews continue to be made at a plant in Northeast Philadelphia. Just Born's other candies - Mike and Ike (as a namesake of sorts, I've always been partial to these), Hot Tamales, Peeps marshmallow candies and Teenee Beanee jelly beans - are manufactured in Bethlehem, Pennsylvania. The modified food starch that Just Born uses in its jelly bean-type candies is corn starch, and the company is in the process of updating its package labels to reflect that its products are gluten free. ¡Hola, señoras y señores! I dusted off my high-school Spanish while spending some time last week in Riviera Maya, Mexico. The beach at our resort was beautiful and the water - so blue! I can't remember the last time I did so much . . . nothing. In this day and age, with e-mail, cell phones and the like, it's extremely hard to unplug and relax, but I largely succeeded. Thanks to everyone who voted for the Readers' Choice Awards over the past two weeks. 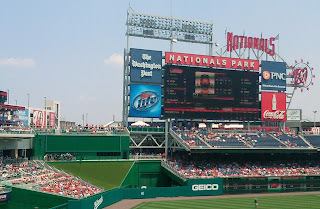 I'll announce the top choices in a post later this summer. Ravioli - gluten-free duck ravioli, to be exact - was the subject of Tuesday's post. 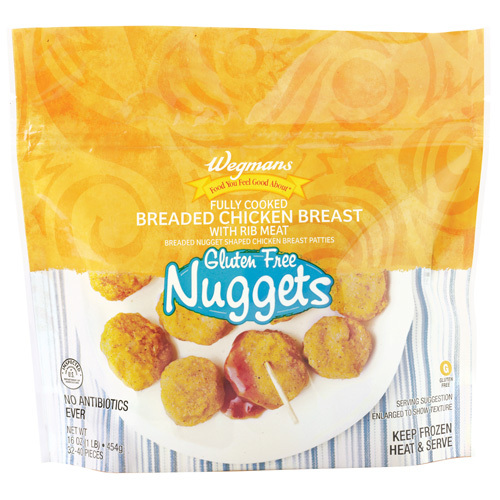 The new product comes from Berks County-raised ducks and is made at Conte's Pasta's gluten-free facility in Vineland, New Jersey. 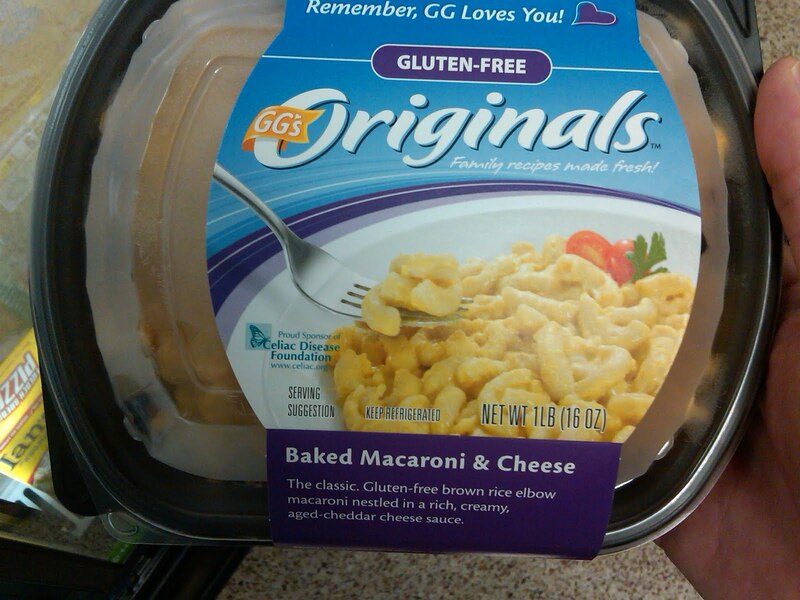 Speaking of pasta, the Romano's Macaroni Grill chain of Italian restaurants now serves gluten-free penne pasta. Local spots are in Montgomeryville/North Wales (29 Airport Square, 215-368-4210), Oxford Valley/Fairless Hills (640 Commerce Blvd., 215-949-9990), Princeton/West Windsor (3569 Rte. 1, 609-520-9700) and Wilmington (4157 Concord Pike, 302-479-1800). Gluten-free pasta is also served at Via Napoli in Northeast Philadelphia (2500 Welsh Rd., 215-934-7700) and Spampinato's in Conshohocken (16 E. 1st Ave., 610-825-3151). Thanks to reader Toni B. for the tip on Via Napoli. Hat tip to reader Jaime L. for news that Maple Glen Pizza (641 Welsh Rd., 215-542-7720) serves gluten-free pizza. 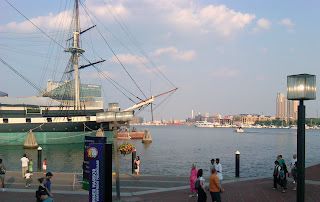 The Institute gastropub in the Fishtown section of Philadelphia (549 N. 12th St., 267-318-7772) has gluten-free pasta, fish tacos, hard cider and other items, including an apple crumble for dessert. Co-owner Heather Derussy tells me that the kitchen takes dietary requests seriously. Some info that is "shore" to please on Long Beach Island: Reader Susan A. let me know that Boulevard Clams in Surf City (2006 Long Beach Blvd., 609-494-9494) offers gluten-free crab cakes and other items, while Buckalew's (101 N. Bay Ave., 609-492-1065) in Beach Haven - which has offered gluten-free pasta - now has pizza as well. Calabria Ristorante in Beach Haven (1901 N. Bay Ave., 609-492-8001) also has gluten-free pizza and pasta. In Ocean City, Bongo Cafe and Grille (1050 Bay Ave., 609-938-0680) serves sandwiches on gluten-free bread. Purely Sweet Confections is a home-based bakery out of West Chester (610-883-3997) offering baked goods free of many common allergens (gluten, dairy, soy, egg, yeast and peanuts). Products include cakes, cupcakes, cookies and pies. Reader Ramona A. wrote on Facebook that My Little KupKake in Collingswood (685 Haddon Ave., 856-240-1097) now has gluten-free vanilla cupcakes. Doylestown's A Taste of Philly (8 W. State St., 215-340-1575) scoops locally-made Sweet Pea ice cream served in gluten-free sugar cones. Thanks to reader Rich S. for the tip. Warminster's BRE Bakery, which sold gluten-free cookies and other items, recently closed. 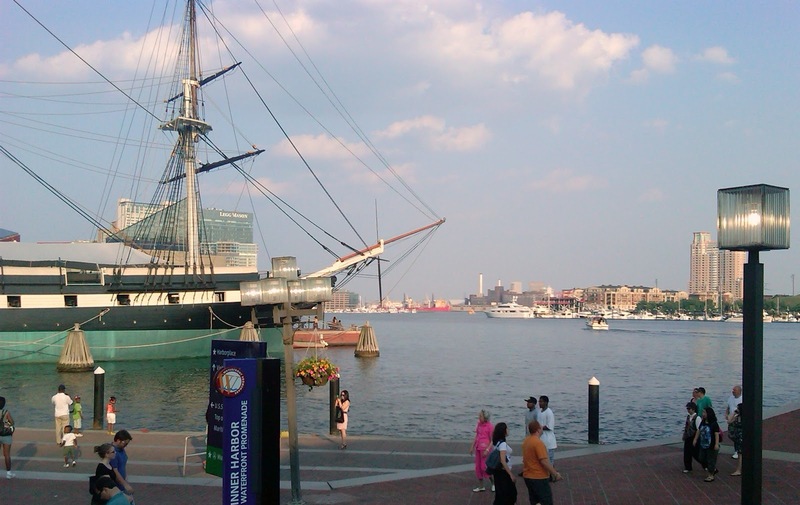 "Chef Moni" of Center City's 10Arts tweeted that Delaware's Dogfish Head Brewery recently tapped its new gluten-free Tweason'ale, a sorghum-based beer made with fresh strawberries and honey. 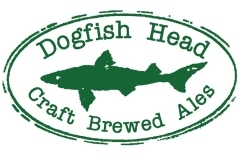 For now, it's available only at Dogfish's Rehoboth Beach brewpub but by year's end may be packaged for wider distribution. Delaware's Grotto Pizza now serves gluten-free beer at its locations with a bar, including those on Main Street in Newark and on Concord Pike and Pennsylvania Avenue in Wilmington. As I mentioned in March, nearly all its First State locations serve gluten-free pizza. 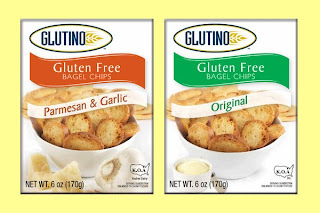 Sesame Place in Langhorne (100 Sesame Rd., 215-752-7070) now offers three gluten-free, allergy-friendly snack packs from Rebecca & Devyn’s Gluten Free To Go. The variety packs can be found at Elmo’s Eatery in the coffee café area, the Snack Cart in front of the Dine with Me building and at the Popcorn Cart located behind Elmo’s Eatery, across from Cookie Mountain. 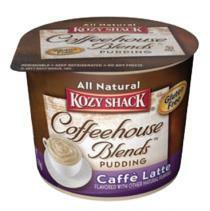 Kozy Shack has added several gluten-free desserts to its product line. The new Coffeehouse Blends pudding comes in three flavors: caffe latte, cappuccino and caramel macchiato. The company's SmartGels - in orange and sugar-free orange, strawberry and sugar-free strawberry, tropical and sugar-free tropical and cherry flavors - use a vegetarian-based ingredient as an alternative to gelatin-based desserts. On Tuesday, July 19, GREAT-trained chef James Harris will lead a gluten-free cooking demonstration at the Cape May County Library in Cape May Court House (30 Mechanic St., 609-463-6350). The 1 p.m. event is open to library members. The Bards Irish pub (2013 Walnut St., 215-569-9585) in Center City is hosting a Gluten-Free Day on Sunday, July 24 starting at 3 p.m. There will be pizza, burgers, chicken tenders and traditional Irish stew (made with Bards beer), Shepherd's pie and fish & chips. The owners are considering a permanent gluten-free menu - they're installing a dedicated fryer in time for the event - so come out and show your support. 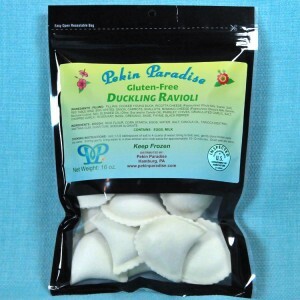 I've seen and heard of some novel gluten-free products over the past eight years, but nothing quite like gluten-free duck ravioli. 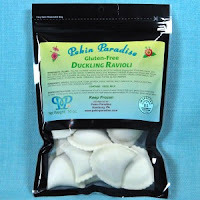 Pekin Paradise in Berks County, Pennsylvania uses meat from ducklings raised at a neighboring farm in Shartlesville, then ships it to Conte's Pasta's gluten-free manufacturing plant in Vineland, New Jersey, where the ravioli are made. The company uses an heirloom strain of duck that dates back to the Ming Dynasty, according to company vice president Walt Brygier. Brygier developed the new gluten-free ravioli after hearing from his daughter's boyfriend, who has celiac disease, of the need for more gourmet meals. The large mezza luna-shaped ravioli is sold in consumer and commercial sizes at the company's website.